Cedric Bien is an investigator for Social Entrepreneurship for Sexual Health (SESH) in China. 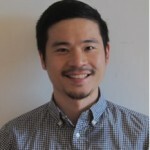 He is the Doris Duke Clinical Research Fellow with University of North Carolina-Project China, and is affiliated with the Guangdong Provincial Center for STI Prevention and Control in China. He is originally from Boston, United States, and will complete a medical degree next year from the Mount Sinai School of Medicine in New York.